While society evolves technologically, we’re still battling chronic disease – largely because medicine helps us live longer. Almost one in two men over 60 will suffer from prostate cancer. It’s a leading cause of cancer deaths and reportedly escalating – although these numbers could also be a result of increased screening. The positive side is that survival is double what it was 40 years ago, and sufferers will likely live for over a decade after diagnosis. Cancer care is developing exponentially – but some say too much attention is given to lower-risk cancers, given the lifestyle choices we can make to curb it before needing to see a urologist. 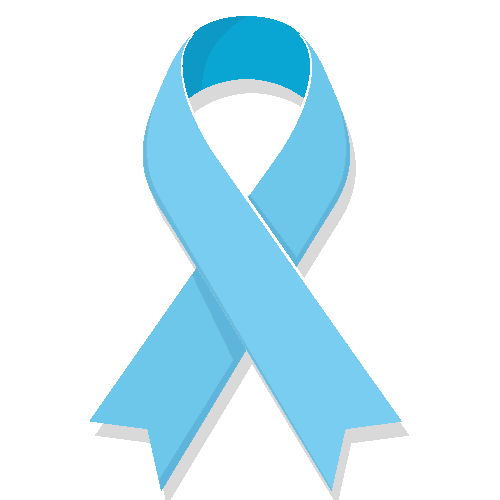 Postponing treatment might not be an unthinkable or high-risk option for many men with early-stage prostate cancer – there’s a high chance they’ll remain out of mortal danger, possibly even passing away from other natural causes in the 20 years following diagnosis. Where’s The Cancer Coming From? Our lives are both busier and more sedentary than ever. With work, kids, and commitments… we exercise less, sleep irregularly, and rely on convenience food. Diet, stress, and exercise are the biggest contributing factors in preventing cancer – not to mention avoiding recreational relief in cigarettes and alcohol. Being aware of our bodies and learning to notice changes equips us to avoid cancer – or catch it early. Since we’re able to make so many essential lifestyles change ourselves, the question arises – which cancer cases receive excessive attention, and which need greater focus? Of course, you may not be experiencing cancer symptoms but benign prostatic hyperplasia (BPH), which causes increased night urination, difficulty urinating, an inconsistent stream and weaker bladder behavior. Either way, you can keep your prostate healthy or counteract swelling by improving your way of life. Today, stress is the main contributor to disease. Enjoying activities and interactions outside your routine is vital – clear your mind through practices like meditation, yoga and alternative hobbies. 30 daily minutes or more of varied aerobic and resistance-based exercises help you lose weight and combat BPH symptoms. Counter the estrogen increase that accompanies aging with supplements to help regulate hormones, improve your immune system and naturally diminish prostate inflammation. Eating right is key. Foods high in protein and omega-3 fatty acids help reduce swelling – think fish like tuna, salmon, and anchovies. 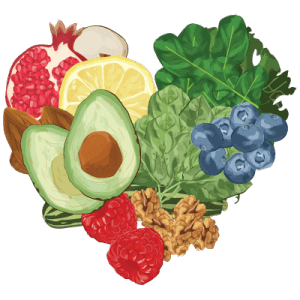 Cruciferous vegetables like kale, broccoli and cauliflower help, as do foods with healthy fats like seeds, nuts, olives, and avocados. 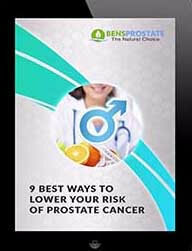 Stay away from spicy foods, processed grains, and caffeine, which can amplify pain and worsen other prostate symptoms. Many prostate cancers are considered low-risk localized diseases, so over treating such cases over-utilizes health organizations’ staff and resources. CNN referred to overtreatment as an epidemic in 2014. 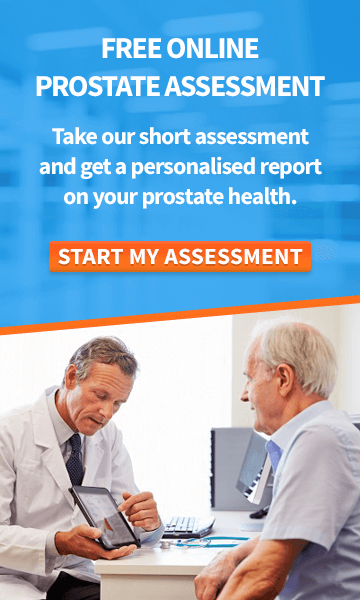 Prostate Specific Antigen (PSA) testing has unearthed more and more previously undiagnosed prostate cancers – many of which may not have caused perceptible harm if left undetected. Fear pushes many to undergo unwarranted surgical and radiographic treatments – despite potential side effects like erectile dysfunction and incontinence. Results from Buffalo University’s 11-point Distress Thermometer – 0=no distress, 10=extreme distress – showed how fear levels led to treatment choices. To examine how specialty care could be improved while reducing overheads, Parth K Modi of Michigan University and his team investigated US accountable care organizations (ACOs). They found that 9% of recently diagnosed patients received over treatment across 137 ACOs. ACOs that consistently consulted with urologists weren’t as likely to overtreat as ACOs that continued to over treat men with non-cancer related risk of death. ‘Lifetime cancer risk’ means the odds of a child receiving a cancer diagnosis during their life. The UK’s incredible cancer registration database allows more accurate predictions of lifetime cancer risk. British research scientists like Professor Peter Sasieni continue to develop cancer risk modeling to more exactly evaluate which cancer cases are clinically meaningful. David Penson, MD, MPH of the University of Southern emphatically stated that prostate cancer deaths had noticeably fallen off since 1993, echoed by eight other US physicians. This is good news for tackling more insidious cancers – which prostate cancer isn’t always included with. Active surveillance is recommended for low-risk cases as a way of monitoring prostate cancer that hasn’t spread outside the prostate. Of course, it’s difficult to enforce due to patient concern. According to the Royal College of Surgeons’ National Prostate Cancer Audit, 90% of UK men were happy with treatment received from NHS – but this highlighted how many over treated, low-risk patients there may be with localized disease. Prostate Cancer UK’s 2016 ProtecT trial offered men active surveillance as a legitimate alternative they could feel confident in. While not excluding the options of surgery and radiotherapy, it aims to reduce unnecessary or overtreatment. Active surveillance isn’t always a cut and dried approach with regards to how patients actually deal with their condition every day. They may continue to suffer symptoms such as incontinence, occasional urinary bleeding, and discomfort in the bladder/prostate region. While some cases are overdiagnosed, others merit medical attention and are better caught early. The NPCA noted that erectile dysfunction and feeling emotional are other symptoms of an enlarged prostate as well as of treatments, and we echo their call that these men should have early and ongoing access to relevant services and treatment. 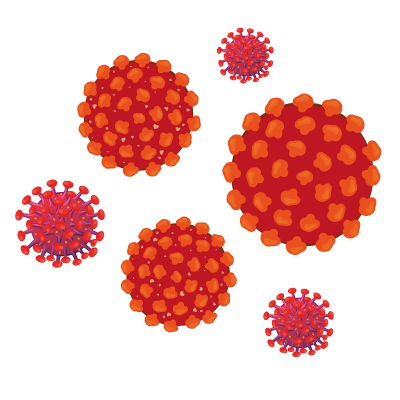 Patients should remember that active surveillance closely follows the cancer’s potential development, and that treatment is an option should the cancer become aggressive. Adjusting and improving lifestyles contributes hugely to preventing and dealing with low-risk prostate cancer and aids the active surveillance process. Doctors need to fully inform men on their condition, how to handle the associated anxiety and how premature treatments can have negative effects. Patients should heed this advice and ask as many questions as possible to fully grasp what they’re being told. Ideally, this will help them choose treatments according to preferences and values rather than pure stress. Ultimately, understand your body and prostate condition and make those important daily health adjustments to keep thoughts of cancer or, at the very least, symptoms at manageable levels. Hi I’m in the UK and my Gleason score was 7 , the hormone therapy has turned me into a emotional wreck , but my PSA is now 0.2 and the latest MRI showed the tumour has shrunk, so I saw my oncologist and asked him if I could now go on active surveillance, but he insisted I need to carry on with treatment, this Friday I’m having the seeds fitted , which I’m dreading because how uncomfortable and painful I found the biopsy, ready for the RT late January . I wish this would just go away . Hi Dave, very sorry to hear about your experience. If you get in touch with our support team via [email protected] they can discuss this in further detail with you and see how best to advise you. Needless today I’m completely confused as to what to do ! I was told 4 months ago I had prostate cancer based on psa of 12 and one finger exam .how can i be sure ? Hi Robert, very sorry to hear about your recent diagnosis. If you would like to get in touch with our customer support team they would be happy to try and best advise on what steps to take. You can get in touch via our toll free number +1 888-868-3554. Hi Max, yes biopsies have a range of negative side effects and are often not advisable. PCA3 stands for “Prostate Cancer gene 3”, a protein that is produced by prostate cancer cells at much higher levels. PCA3 leaks into the urine when the prostate gland is stimulated. 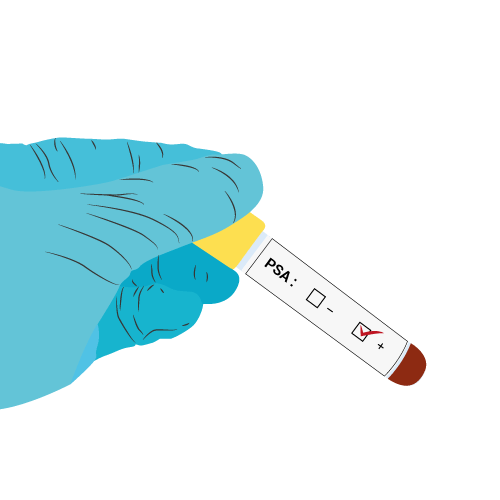 Unlike the PSA test, a high PCA3 test can only result from cancer – not from an enlarged prostate, inflamed prostate or other non-cancerous prostate problem, so in that aspect is more reliable.For this test, you need to undergo a DRE. This will stimulate PCA3 to leak into the urine. A urine sample is then collected and sent to the lab. It takes about 1-2 weeks to get the results. The higher the PCA3 score, the more likely you have prostate cancer.This test is also used to determine the effectiveness of cancer treatment. The higher the score, the more aggressive is the prostate cancer. If you would like to discuss this in further detail feel free to contact us vis [email protected]. Hi Juliano, tamsulosin, also known as Flomax) has a number of negative side effects, which you can learn more about here http://www.bensprostate.com/prostate-drug-guide-flomax/ It is good to hear that you are using a combination of our natural supplements and hopefully you are in the process of not taking flomax. Yoga is a good form of exercise and paying attention to your diet is also important. The keto diet in particular has been shown to offer a wealth of health benefits. If you get in touch with our customer support via +1 888-868-3554 they can best advise you. Wishing you good health. But what if you have only the symptom of urinating at night maybe 1-2 times a night and with an inoperable herniated disk – L5 S1 -that has done damage to your nerves and has been the diagnosis for the lack of erections being hard and or the urination at night which seems to go away for 6-7 hours with taking 2 Advil PM. Then when i was just at my urologist he felt possibly a hard – not too hard (as he said it) spot on my right side and the left was fine – normal – and now i face having a Biopsy taking place. what if that action make my cancer – if it exists – spread? i am confused reading your article do you have a biopsy or not is that part of “over treating it”? 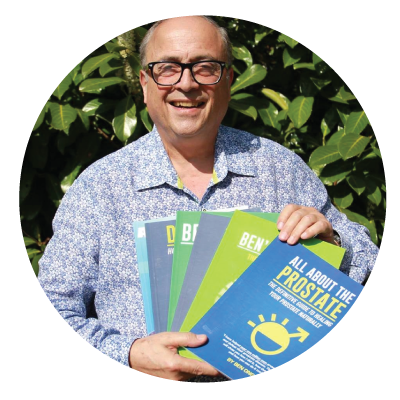 Hi Mike, this article was written to discuss the possibility of men being overtreated for prostate cancer. As the studies show, sometimes a biospy is recommended when one may not be needed and can result in a number of side effects. Of course it is entirely dependent on the individual but if you wish to discuss this in further detail please get in touch with our support team on our toll free number +1 888-868-3554. I was diagnosed with prostate cancer in 2005 and had a Gleeson rating of 6. My PSA count has gradually been increasing over those years and recently was 64. I have been on active surveillance all these years and apart from an increased need to pee on a regular basis I have no issues that would prompt me to consider anything other than continuing with the 6 monthly PSA count. I vary rarely have a need to get up during the night and although it sometimes take some time to empty, I do not experience any discomfort while doing so. I have used some of your suggested medication, and currently using your Prostate Healer, just having started my second bottle and will be very interested to see if there has been any slow down or even reduction in my PSA count. Hi Bob, very sorry to hear about your diagnosis. Please keep us updated on your progress and if you require any information or advise please feel free to get in touch with our team on our toll free number +1 888-868-3554. Wishing you good health.